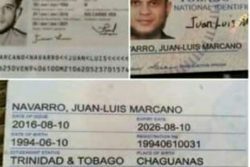 (Trinidad Guardian) A “hit­man” is be­lieved to have shot his own boss as he at­tempt­ed to shoot and kill his in­tend­ed vic­tim yes­ter­day at a pre-arranged “meet­ing place” along El So­cor­ro Road South in San Juan. 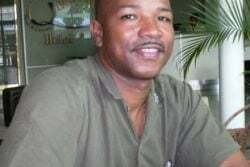 The in­tend­ed vic­tim was a busi­ness­man from East Trinidad. He and his six-year-old child were in his SUV when the shoot­ing oc­curred. 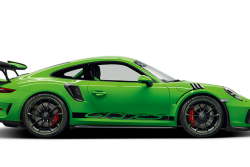 The child was in the back­seat. Luck­i­ly, the child was un­hurt in the at­tack but po­lice said his fa­ther, who was shot in the shoul­der, was se­vere­ly trau­ma­tised. Po­lice said the in­ci­dent is be­lieved to be do­mes­tic re­lat­ed and stemmed from ac­cu­sa­tions of an al­leged af­fair. Ac­cord­ing to a po­lice re­port, at about 10.25 am po­lice of­fi­cers re­spond­ed to a shoot­ing at El So­cor­ro South. When they ar­rived they found a 35-year-old busi­ness­man who had been shot in the right shoul­der. He was in a ve­hi­cle with an­oth­er man who was al­so shot and the child. Po­lice said while the two men were in the ve­hi­cle a gun­man walked up and opened fire on the ve­hi­cle through one of the front pas­sen­ger win­dows. The busi­ness­man at­tempt­ed to dri­ve off dur­ing the at­tack but crashed in­to a near­by trail­er truck. There were three bul­let holes in the SUV’s front dri­ver’s win­dow in the af­ter­math of the at­tack. 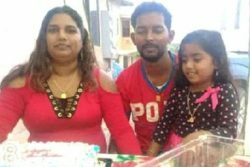 Po­lice said it is al­leged that the San­gre Grande busi­ness­man was lured to the area by some­one he knew. Po­lice said when the per­son who called the meet­ing ap­proached the ve­hi­cle the busi­ness­man asked him to join him in the ve­hi­cle. Po­lice said the man was re­luc­tant at first but even­tu­al­ly got in­side the ve­hi­cle. It is be­lieved that when the hit­man ar­rived on the scene and saw the ve­hi­cle he walked up to the dri­ver’s side of the ve­hi­cle and opened fire. He did not know that the man who al­leged­ly hired him to car­ry out the con­tract hit was al­so seat­ed in the ve­hi­cle. Po­lice yes­ter­day went to the Er­ic Williams Med­ical Sci­ences Com­plex in Mount Hope where they in­ter­viewed both men. The sus­pect, 33, along with the busi­ness­man, were up to yes­ter­day un­der heavy po­lice guard at the hos­pi­tal. Less than 36 hours pri­or, in an un­re­lat­ed in­ci­dent, of­fi­cers of the Spe­cial Op­er­a­tions Re­sponse Team in­ter­cept­ed the “hit­man” while he was on his way to al­leg­ed­ly kill a First Di­vi­sion prison of­fi­cer on Wednes­day night. Se­nior sources close to the op­er­a­tion told Guardian Me­dia that they got a tip-off that the “hit­man” was on his way to as­sas­si­nate the pris­ons of­fi­cer and in­ter­cept­ed him in a stolen ve­hi­cle near Orop­une Gar­dens, Pi­ar­co. 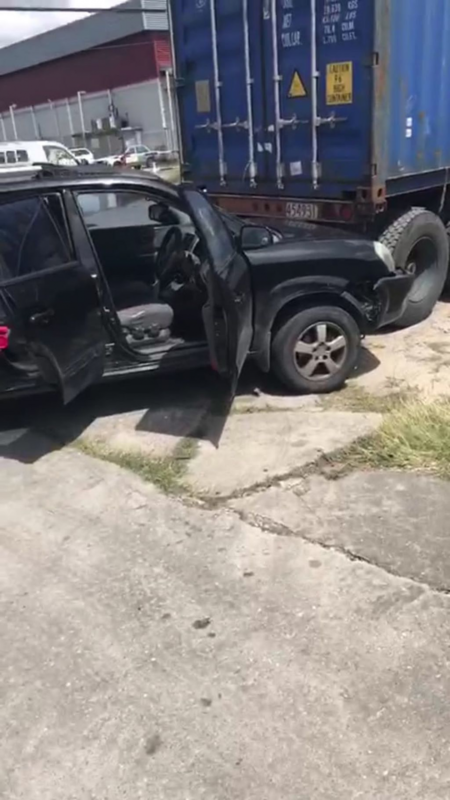 The sus­pect, who is al­so want­ed for a re­cent mur­der in cen­tral Trinidad, was on his way to pick up an­oth­er ac­com­plice and firearms be­fore head­ing to the prison of­fi­cer’s home. The hit was al­leged­ly part of a larg­er hit or­dered by a pris­on­er which was tar­get­ing five pris­ons of­fi­cers. 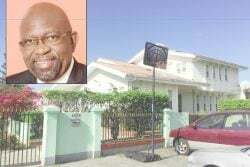 Sub­se­quent to Wednes­day’s in­ci­dent, Na­tion­al Se­cu­ri­ty Min­is­ter Stu­art Young sent a stern warn­ing to crim­i­nal boss­es who run their em­pires by or­ches­trat­ing con­tract killings from be­hind the prison walls with their as­so­ciates on the out­side. “I want to send a strong sig­nal to any­one, in­clud­ing those in the prison sys­tem, be­cause there are a num­ber of crim­i­nals in the prison sys­tem, who for too long, have been al­lowed to op­er­ate be­hind the bars of pris­ons as though they can con­tin­ue to run their crim­i­nal em­pires on the out­side and they could con­tin­ue to com­mu­ni­cate with the per­sons on the out­side and send threats not on­ly to pris­ons of­fi­cers but al­so to law-abid­ing cit­i­zens. 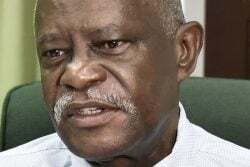 If they are think­ing they can threat­en per­sons, it is not go­ing to be tol­er­at­ed,” Young warned dur­ing Thurs­day’s post-Cab­i­net press brief­ing.